Local fire district leadership and firefighter union representatives participated in a three-day unfair labor practice hearing last week. 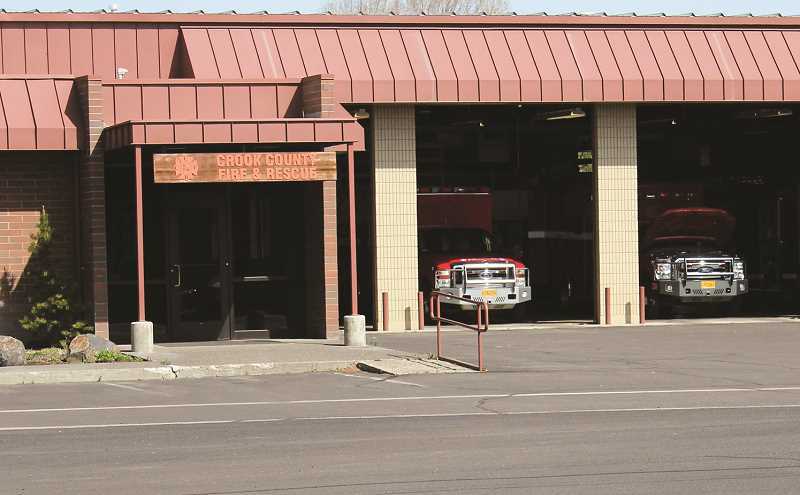 The Crook County Firefighters Association, a union comprised of multiple CCFR employees that was formed in September 2016, filed an unfair labor practices complaint against the local fire district this past April. This is the second complaint filed with the Oregon Employment Relations Board against CCFR in the past calendar year. The first complaint was settled before a hearing took place. The Association alleges that Fire Chief Matt Smith has voiced his opposition to forming a union on multiple occasions and claims that he has retaliated against members of the union since its inception. Smith is accused of levying stricter discipline against union members and initiating investigations for issues that had historically not prompted them. The Association also alleges that he has withheld promotions from union members who met the qualifications for the positions the district was filling. The District filed its Respondent's Answer and Affirmative Defenses document with the Employment Relations Board on Aug. 20. In it, the district addresses and rebuts more than 40 complaints filed against Smith and other CCFR leadership. According to Oregon's Employment Relations Board, an unfair labor practices hearing is intended to give both parties an opportunity to submit evidence on the issues raised by the complaint and answer. An administrative law judge is responsible for ensuring that there is a complete evidentiary record and that the hearing is orderly, safe and fair. Both the fire district and the union were represented by attorneys during the three-day event. Members of the union and its executive board were questioned by both the union's attorney and the district's representation, as were other witnesses and district leaders. During an unfair labor practices hearing, the complainant has the burden of proving the allegations and claims in the complaint while the respondent must prove any affirmative defenses raised in the answer. Each party must prove its case by a legal standard called the "preponderance of evidence," which means they must provide enough credible evidence to make the judge believe the claim is more likely true than not true. When the hearing concludes, as the Crook County one did Wednesday, parties typically submit written closing briefs. The judge will then review the evidence and the law and issue a recommendation order, which will be served to each party. In that order, the judge will state the significant rulings in the case, the findings of fact, and the conclusions of the law. If any party disagrees with any or all of the recommendation order, they request a three-member Employment Board review of the case. Objections must be filed within 14 days of when the judge serves the recommendation order.